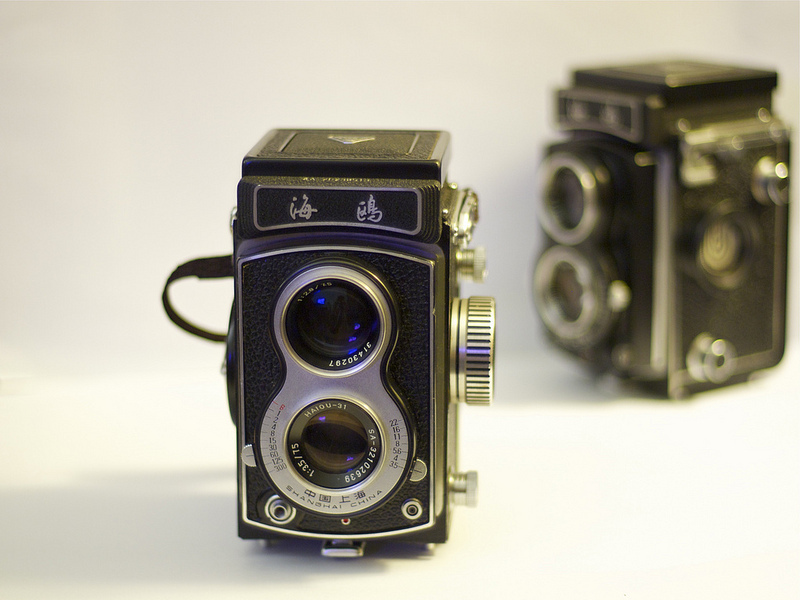 The Seagull 4A is a 6×6 TLR camera for 120 roll film made in Shanghai, China by the Shanghai Camera Factory. It was introduced in the late 1960s to complement the 1964 Seagull 4, and is reputedly still in production 40 years later. During my last trip to Shanghai in 2010/11, saw quite a few pieces of these in shops in rather good conditions. But they are not cheap, each going easily for US$300-$400. This is actually my second piece, after the first one broke either during shipping or the seller sent me a lemon. Very nice site and great cameras. Congrats. One thing … about film type. Film Size 120 is called 120 not 120mm. 35mm film happens to be 35mm wide, but 120 film is only +/- 62mm wide, not 120mm. Kodak called all films by a number, so 120 was the next after 119. (You may have seen 116 films mentioned). 35mm film is actually called 135, as you will see on film boxes, but we all just say 35mm. But we don’t say 120mm. Another example, 126 cassettes were actually 35mm film with only one side sprocket hole. Couldn’t call it 35mm though. It is 126 (and yes, Kodak did have an old film called 126, but for some reason, they also called the new idea 126.